Sass had to have her tooth pulled at the dentist yesterday and it was kind of unexpected. Not completely, because her enamel didnt form right in the womb, so she has had teeth problems for a long time, I just didnt know the tooth fairy would be coming yesterday. She was so brave and took it so well. She wrote a letter to the tooth fairy asking her to let her keep her tooth so she could show dad when he got home from work. She was so excited. 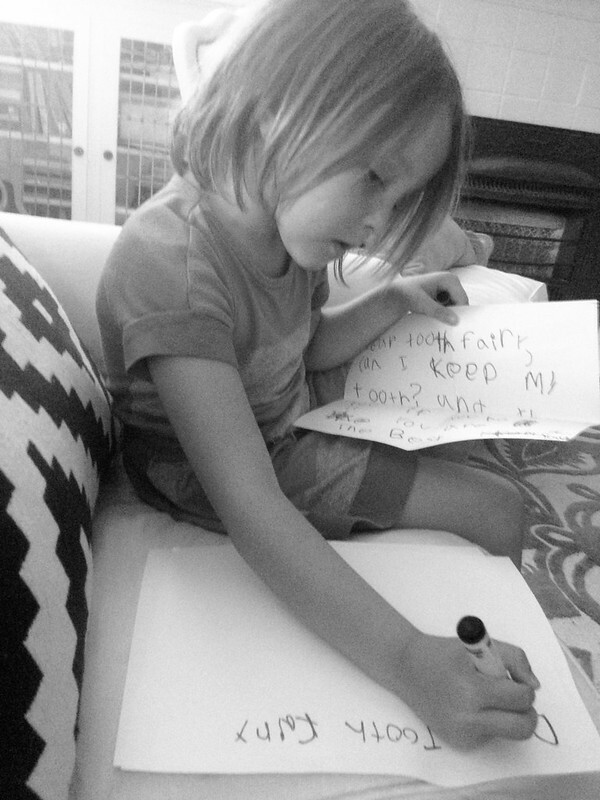 She rewrote it a few times to make sure it was just right. Then she left it in a bag under her pillow with a tiny necklace for the tooth fairy to have. 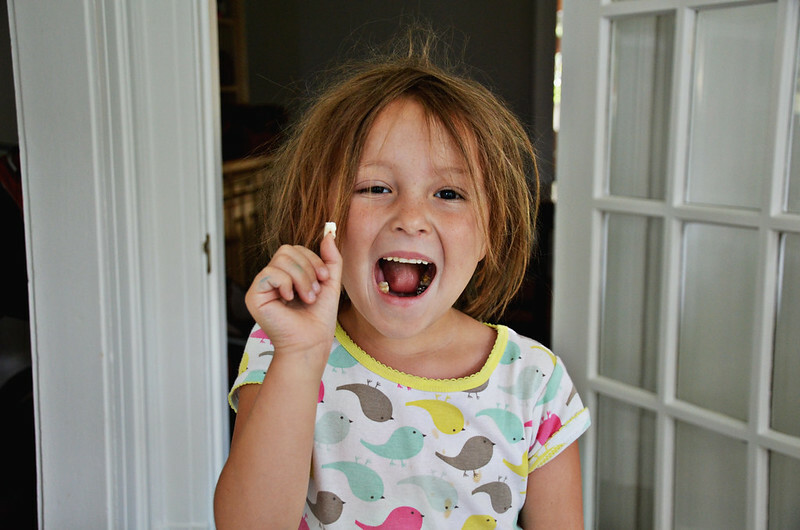 When she woke up she was so excited for her three dollars and the note from the tooth fairy. 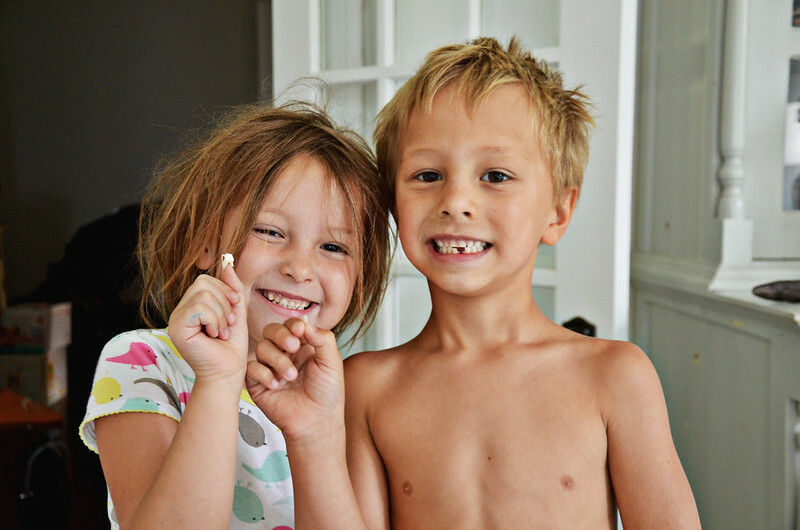 While we were laying in bed, ben pulled his loose tooth right out of his mouth the old fashion way! It was hilarious and bloody and just awesome that it was a day a part from sass. I love how so many of their milestones are at the same time. They probably lost them because of our frequent ice cream dates. Those teeth were probably seeking help through loss.